Pioneers and Builders of theater in Utah. Hiram B. Clawson, John T. Caine, David McKenzie, John C. Graham, John S.Lindsay, William C. Dunbar, and Philip Margetts. 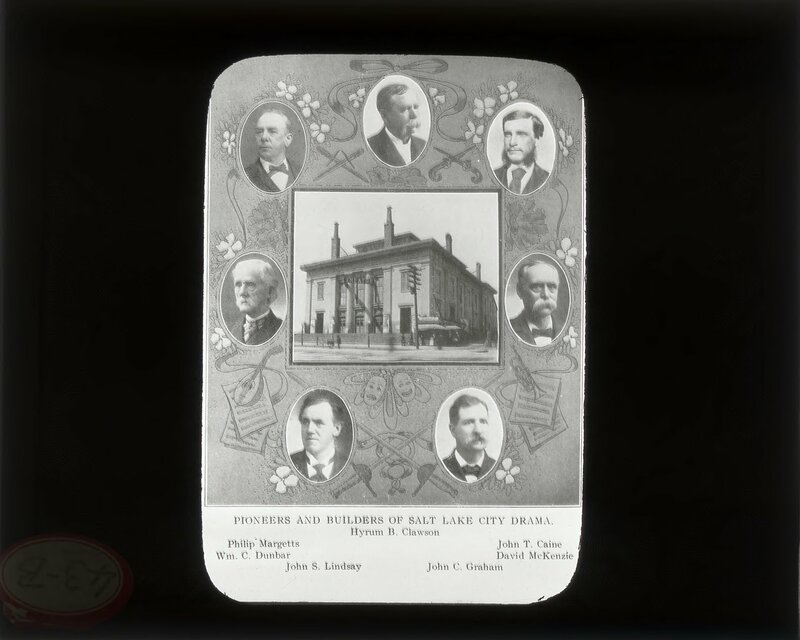 Title Pioneers and Builders of theater in Utah. Hiram B. Clawson, John T. Caine, David McKenzie, John C. Graham, John S.Lindsay, William C. Dunbar, and Philip Margetts.